Keeping cool becomes a number one priority during the oppressive heat of the summer months. Air conditioning and refrigeration are the creature comforts nobody wants to do without through the hottest months. Mancini Heating & Cooling strives to ensure no one has to do without, offering an emergency HVAC service 7 days a week, 24 hours a day. 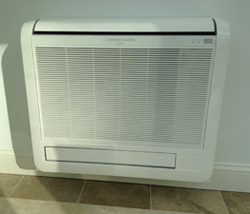 Mancini Heating & Cooling offers sales, service and maintenance for air conditioning, refrigeration, and heating systems. We maintain and service appliances from all major brands, both domestic and commercial. We aim to offer the highest quality products & support, including employing experienced factory trained HVAC technicians. At Mancini Heating & Cooling we have selected HVAC equipment that utilizes the newest and greenest technology, which is less damaging to the environment and also consumes less energy, translating into greater savings for customers in the longer term as well as helping everyone move towards a greener future.